MASSACHUSETTS, USA — This may be the cutest thing you have ever seen. Two neat rows of the youngest Patriots fans in the world supported their local team Sunday night at UMass Memorial Maternity Center in handmade blankets and pom-pom hats. 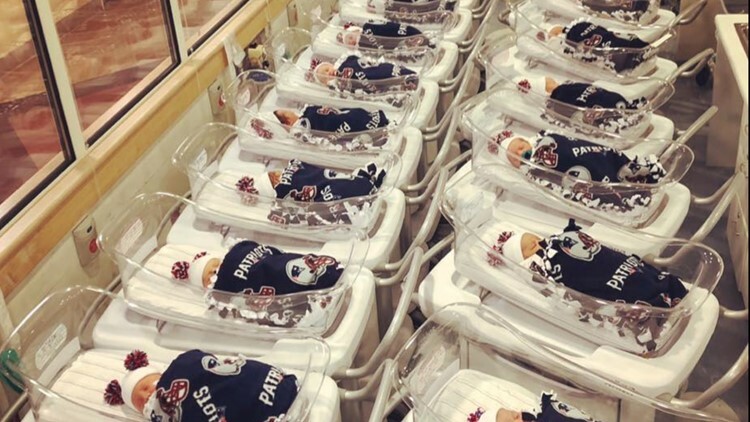 Officials at UMass Memorial Maternity Center South 4 nursery claim that their more than two dozen babies were the good luck charm that clinched the sixth Super Bowl win for the New England Patriots. As most of the U.S. and certainly all of New England knows by now, the Patriots beat the Los Angeles Rams Sunday night in the lowest scoring Super Bowl of all time, 13-3. The Patriots are now tied with the Pittsburgh Steelers as the two franchises with the most Super Bowl wins. The Patriots have gone to the Super Bowl more than any other NFL team, a record-breaking 11 times.